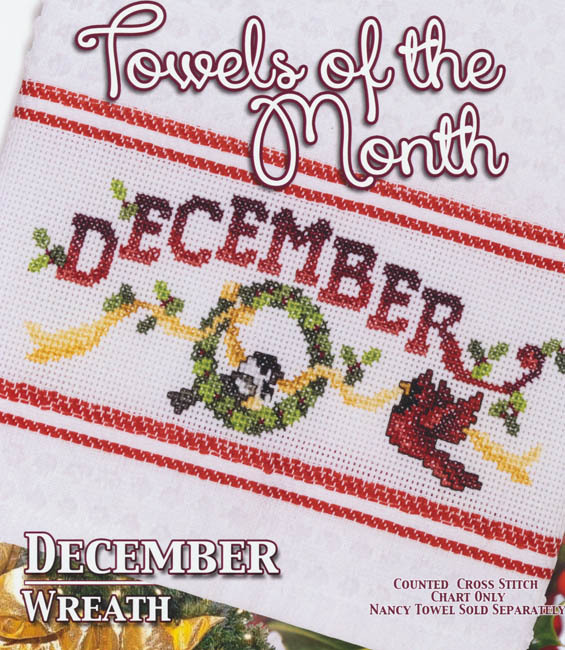 Towels of the Month series - December - Red Cardinal, Titmouse and wreath. Count: 102 x 37. Model stitched on 14 count white with red strips Nancy towel.